The Rising Sun Reiki Studio is an Excelsior-Minnetonka premier Reiki healing center, promoting holistic health and well-being through Reiki energy treatments, education and training. Reiki is a causal technique working on the root of the physical problem, not only treating the symptoms. 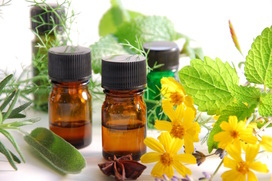 It also endorses deep relaxation and stress reduction and is an important part of self-care. Reiki complements other holistic practices such as yoga, meditation, chiropractic care and acupuncture. And Reiki can enhance your health care and massage therapy practices by giving you extra tools to work with when treating patients. 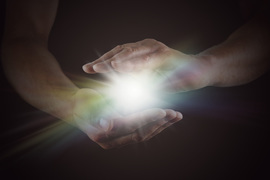 ​Reiki healing is a light touch method of guiding healing energy from the Universe directly to the recipient, promoting a flow and balance of energy in the client that will help maintain health and wellbeing on all levels – physical, emotional, and spiritual. Rising Sun Reiki offers a variety of packages that can help resolve issues that may be limiting your mind-body-soul connection that includes: getting unstuck, improving athletics, Reiki for children, enhancing cancer treatment, grief therapy and dream building. Harness the power of Reiki by receiving advanced training in the art of healing and increasing energy flow. We offer three levels of Reiki training, as well as a Master Teacher class for those who wish to become Reiki teachers. "Wonderful healer, wonderful teacher. I've learned so much through Cynthia and she has helped me become a Reiki teacher myself!" "I decided to 'do' Reiki to maintain my physical and emotional balance. I'm in my mid 60s and maintaining my physical and mental health is very important to me. My sessions with Cyndi/Rising Sun are very relaxing and help me maintain that balance. I feel reenergized after the sessions. They have helped me feel better physically, and I sleep better. Thank you, Cyndi!" "Thank you so much for getting me on the path to healing my terrible headaches. Also, the card readings were fun and right on." "I have really bad knees because I was in construction and roofing all my life. From the first Reiki session with Cynthia, my knees felt better. Now they feel good most of the time. I even learned Reiki so I could work on myself. Cynthia and the Rising Sun Reiki Studio changed my life."